Nige's Page a' Rage: Why that's Super, woman! Recently finished that ginormous Paul Levitz History of DC (which was heavily sanitised and a surprisingly quick read for 700+ pages...but then again, it's an art book not a comprehensive history...) and stumbled across a Silver Age Superwoman I'd never seen before. 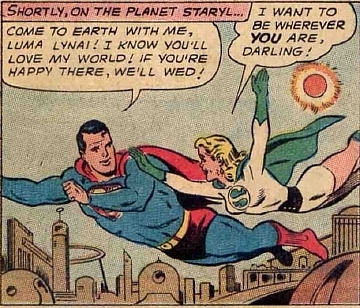 Luma Lynai was a heroine called Superwoman on a distant planet called Staryl who fell in love with Superman but they couldn't stay together as her powers only work under an orange sun and Earth's yellow sun would kill her like Kryptonite would Superman. 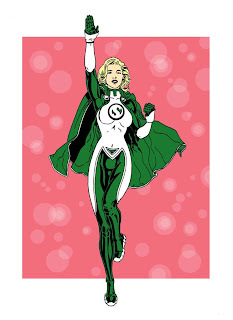 Anyways, although the costume was quite basic, it reminded me of Power Girl's and I fancied drawing her...but then I thought what slight tweaks could you do to make it slightly less cheesy? 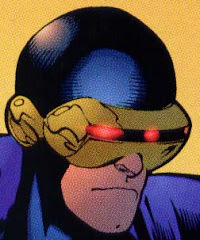 Well, I got carried away and redesigned the whole costume while trying to keep the original emblem and colour scheme. I still hope to get around to doing "real" Luma but the drawing juices haven't been flowing today (abandoned a She-Hulk and Red She-Hulk pic as just wasn't happening).